Academic success and student satisfaction are linked to the style and quality of the educational experience, making instructional methods a commonly discussed topic among academics. While many prefer the traditional lecture style, others have broadened the classroom experience bringing innovative learning to the forefront of the curriculum. Texas A&M Health Science Center College of Nursing faculty members Kathy Missildine, Ph.D., RN, CNE, assistant dean for graduate students, and Kevin Gosselin, Ph.D., assistant dean for research and evidence-based practice, studied the effects of a “flipped classroom,” on baccalaureate nursing students. Their research article, “Flipping the Classroom to Improve Student Performance and Satisfaction,” is available online and in the October edition of the Journal of Nursing Education. 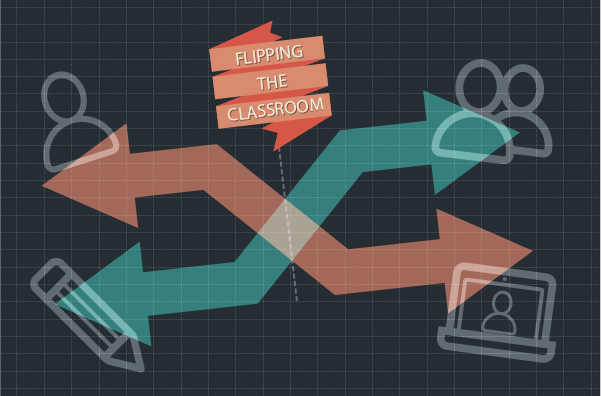 In a flipped classroom, the traditional method of lecturing in class and assigning homework for students to complete at home is reversed. Students listen and watch lectures via video on their own time, outside of class, and use the time in class to complete homework, work through problems, and collaborate in more engaging or interactive activities. “The flipped classroom maximizes the face-to-face time for discussion where students are able to ask questions and interact in real-time with their instructors and fellow classmates, increasing student engagement,” Missildine said.